Mark Farmer, CEO of Cast Consultancy is one of the keynote speakers who will headline a major industry debate on improving the image of construction, organised by CIMCIG, the Chartered Institute of Marketing’s (CIM) Construction Industry Group on Thursday 16 May. 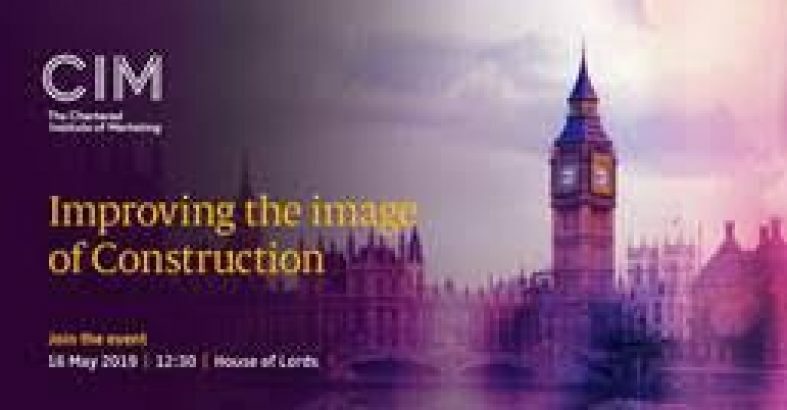 The annual debate, which takes place at London’s Palace of Westminster, House of Lords, will look to address the challenges in attracting new talent to the industry, having workforce diversity, the ability to deliver cost-effective innovations and busting the many misconceptions of the sector. Joining Mark in the panel to discuss the many challenges of improving the image of construction and the possible solutions will be: Sadie Morgan, director at dRMM Architects; Sam Stacey, challenge director of transforming construction at UK Research and Innovation; and Jade Lewis, director of advocacy at Saint Gobain. In 2016, Mark Farmer was commissioned by the Construction Leadership Council to undertake an independent review of the UK’s construction labour model, focussing on the skills pressures and other constraints that limit housebuilding and infrastructure development in the UK. The debate aims to unite professional leaders across a variety of disciplines within the construction sector to discuss the current situation, the key issues, and the actions the industry must take to respond effectively to the issues raised in the report. The debate will also include networking accompanied by a luncheon and afternoon tea. Guests are advised to book early to secure their places, as due to the nature of this event, bookings cannot be accepted after the 8 May 2019. Visit https://www.cim.co.uk/event/94264/ for more information or to book online.